Cute packaging, check. Random engrish tag line, check. 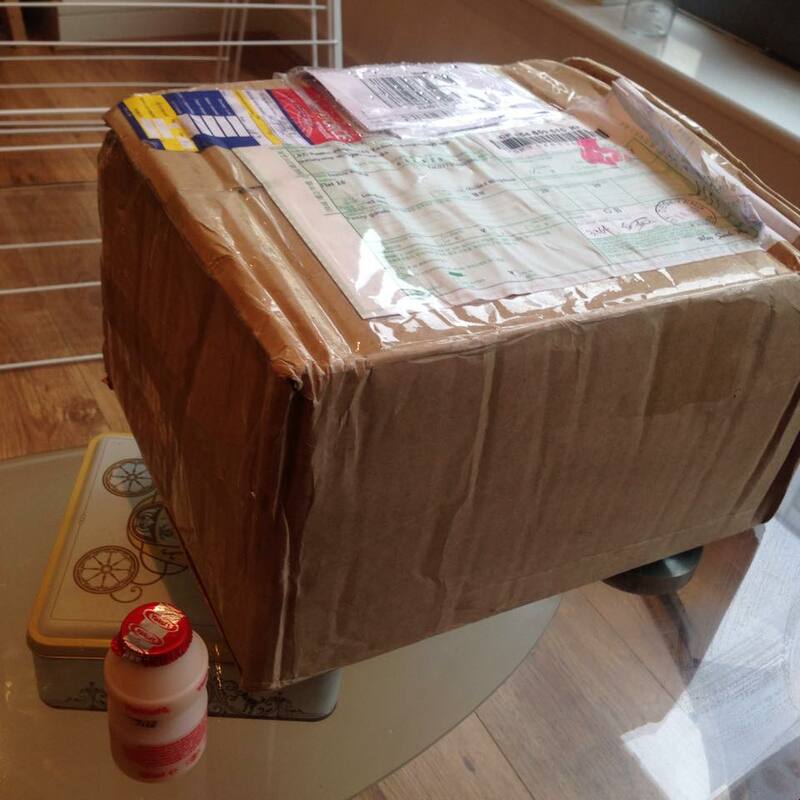 It must be TonyMoly! So this had been on my wish list for a while, I had just never taken the plunge and actually gone and bought it. 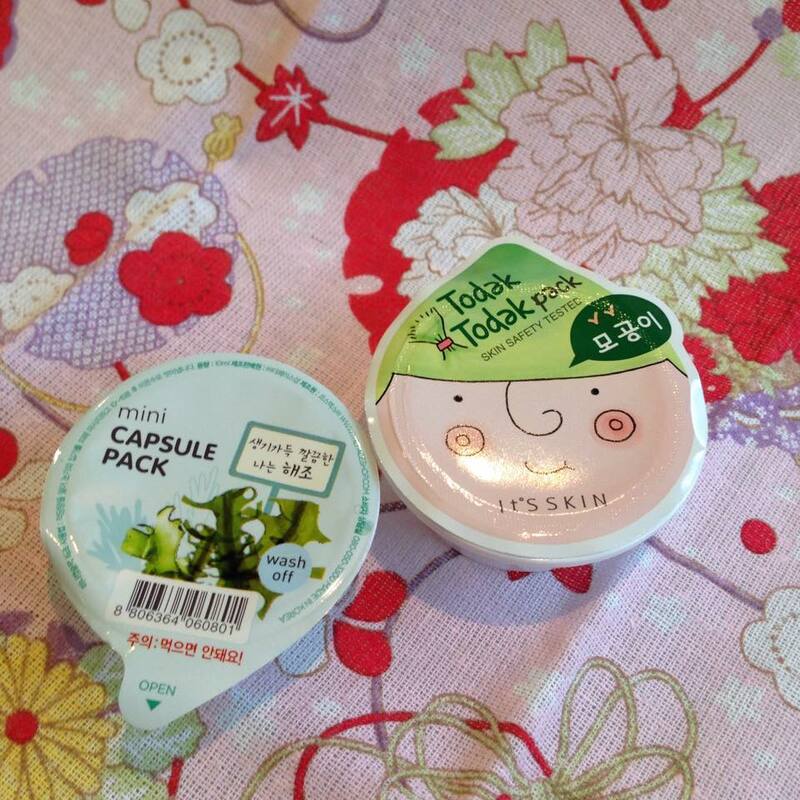 This is a gentle moisturiser for around the eye, and comes in the cutest packaging. It is now officially the cutest thing on my make up table. 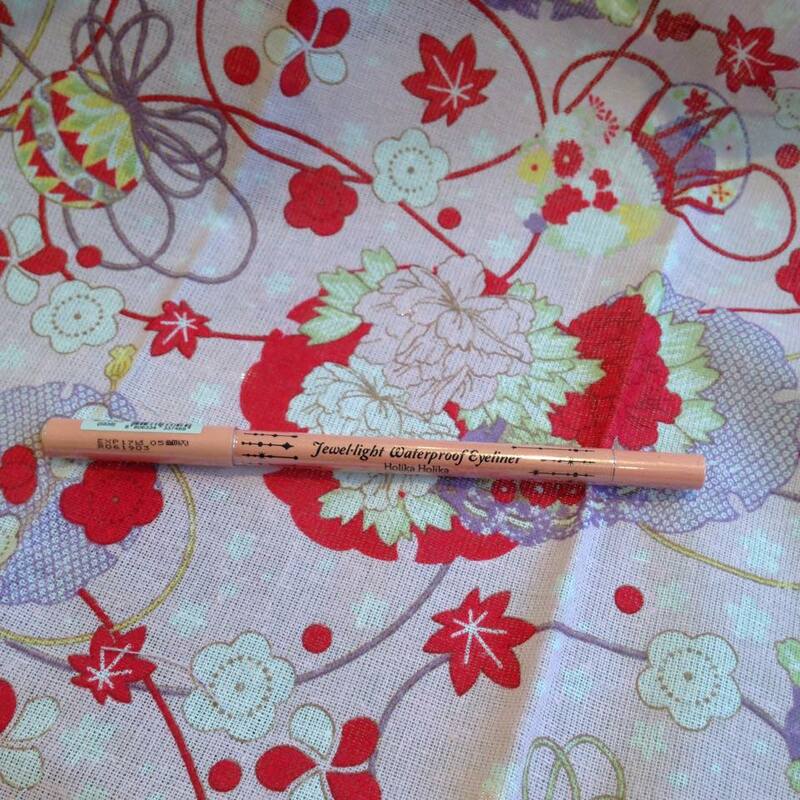 I’ve already tried it and it smoothly glides on my skin, without tugging the delicate eye skin (is there a proper name for this?) which could cause fine lines. It had a slight cooling sensation, which quickly faded. This is not going to revolutionise my life, but it’s a cute fun product. 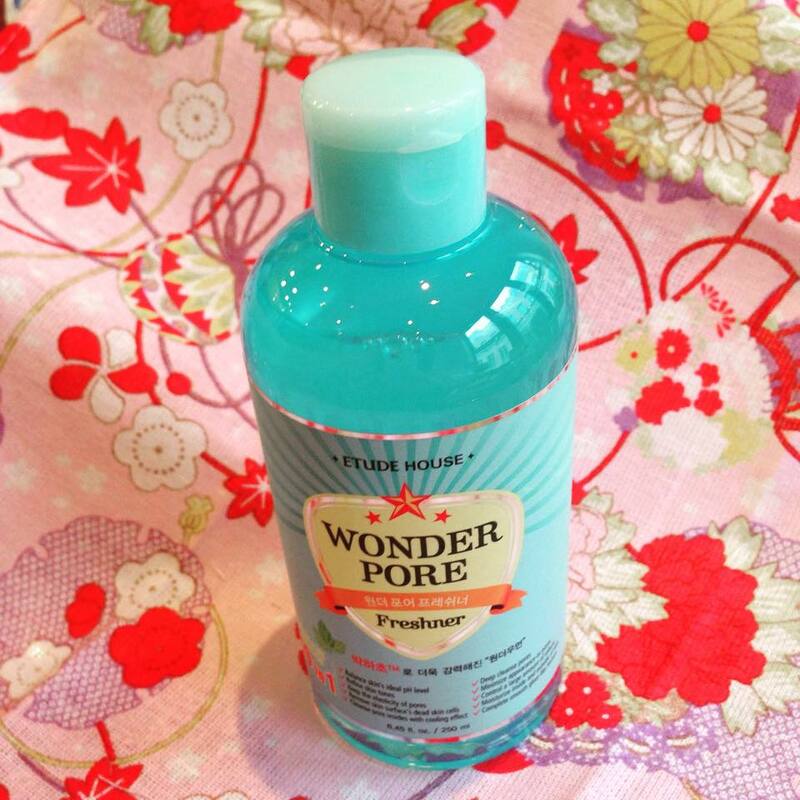 This was actually recommended to me by Linh as a good toner to add to my routine. 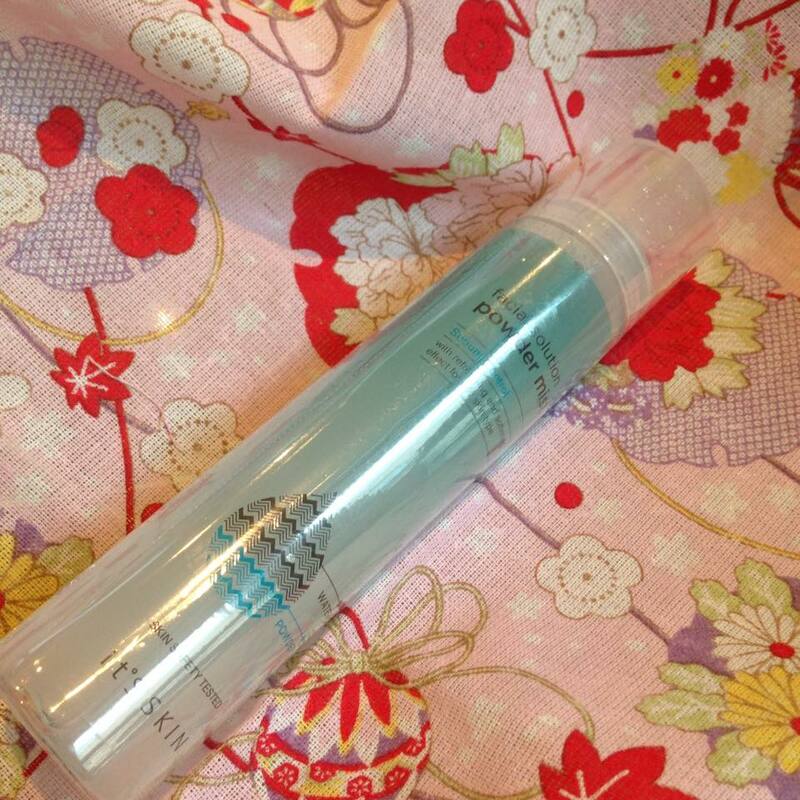 I was running out of my Secret Key Milk Brightening Toner (review here), so thought I’d try this out. 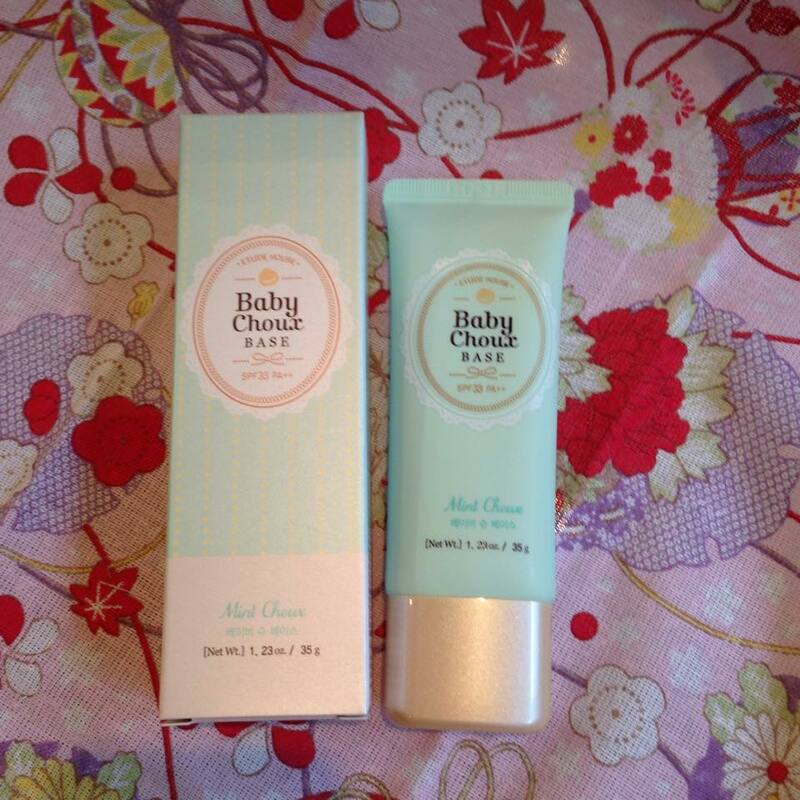 I got this in the 250ml size, Linh has a much larger bottle or two in her room. This promises 10 benefits in 1 bottle! 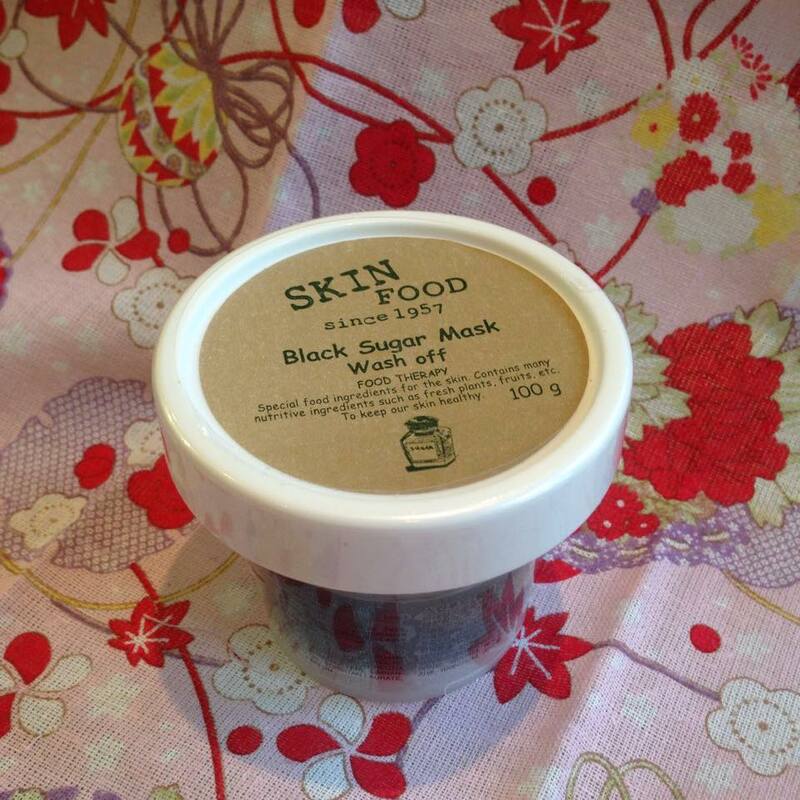 From balancing the skin’s pH level to deep cleansing pores, and moisturising the skin. To be honest all I ask from a good toner is that its gentle and moisturises, and hopefully this fulfills those conditions! This was bought as a back up. I really like the formula on this moisturiser, it’s light and not too sticky. 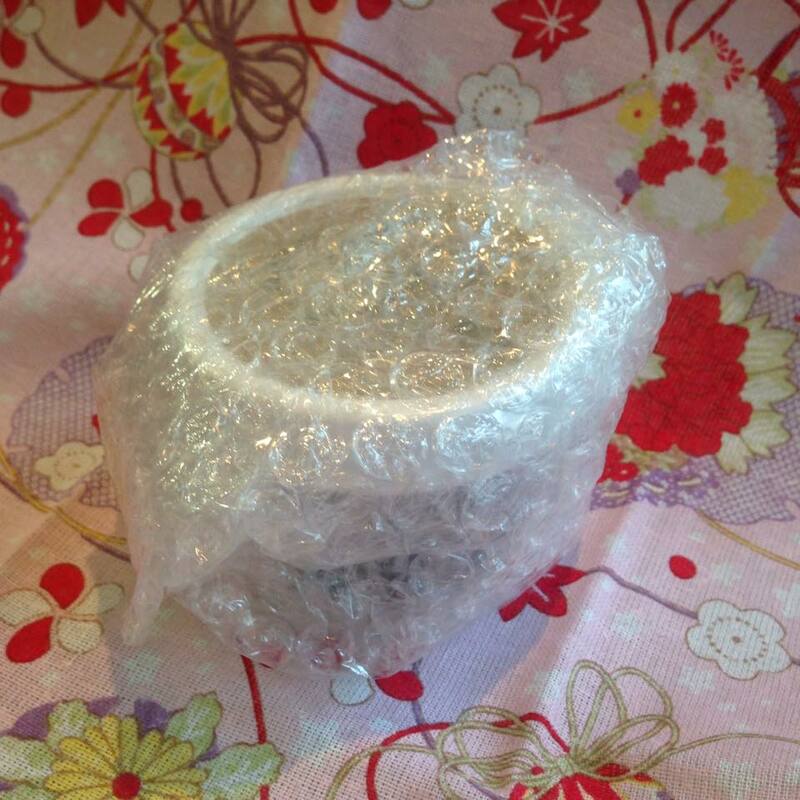 Though when you initially put it on it can feel slightly sticky to the touch. But it’s perfect for days when its hot and humid outside and you don’t feel like adding layers to the face. 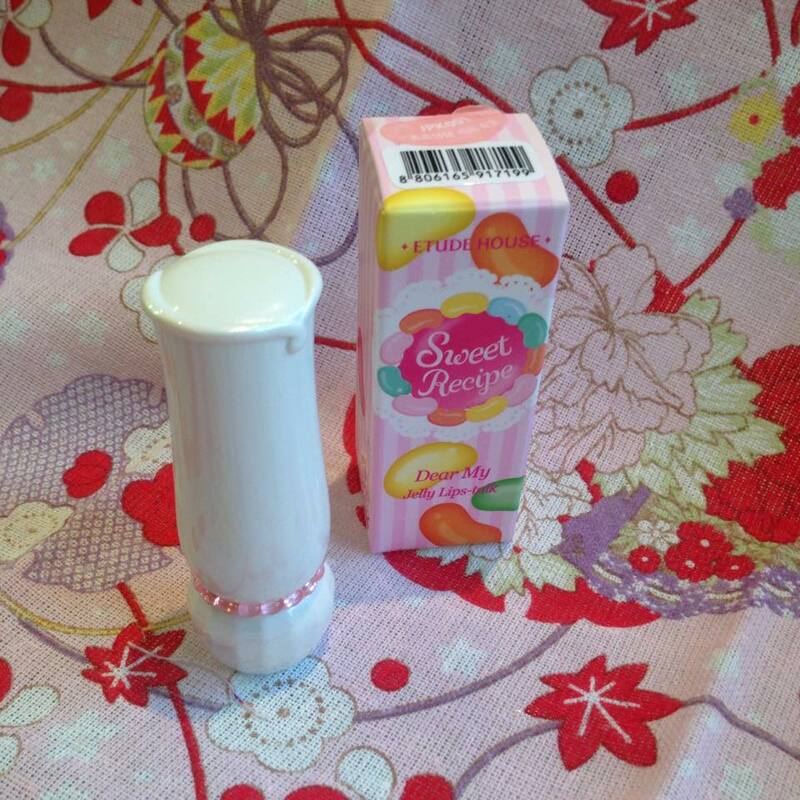 I’ve just started looking into different lipsticks and this cute packaging caught my eye. Linh let me know that Etude House does decent lip sticks, and I love how it looks on my make up table. Pink, Sparkly and Waterproof. The holy trinity. I wanted a light pink eyeliner for underlining my eyes. I’ve heard good things about Holika Holika so into the basket this went. I needed a colour correction primer and this hit the mark. Green is good as a base as it helps to correct red tones on the skin, which is my no.1 concern currently. I read online that these also looked matte, which is a plus for me as I’d be wearing this for work and don’t want to look sparkly in the office. Hopefully lives up to the expectations. 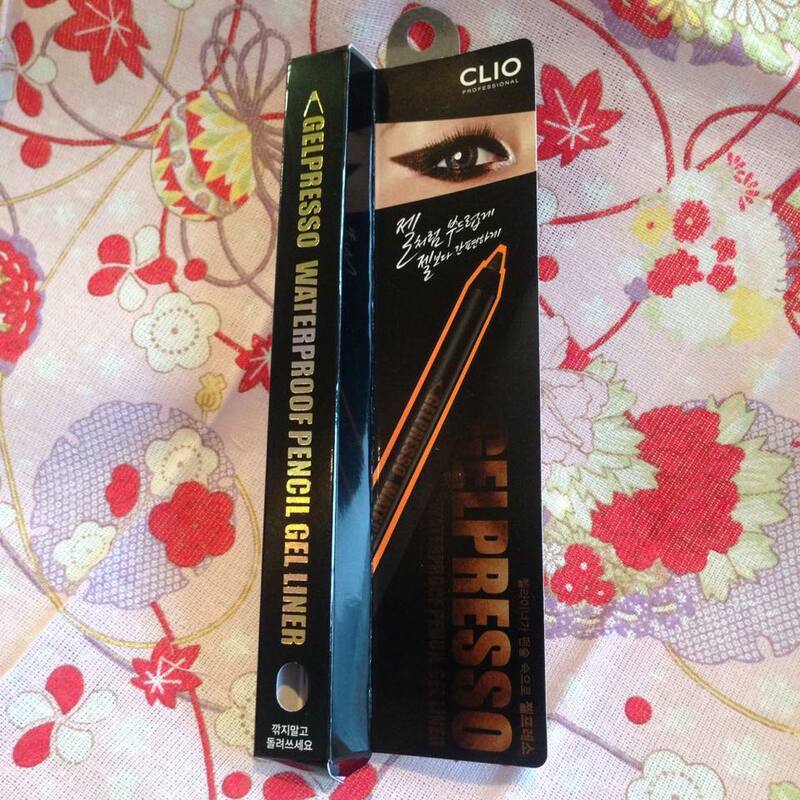 I have heard amazing things about Clio waterproof gel liners, so knew that I had to get this. I got this in brown for a more natural look. Black liners are a staple in my make up routine, so it’s always good to have a lot on hand in case of misplacements/travel. 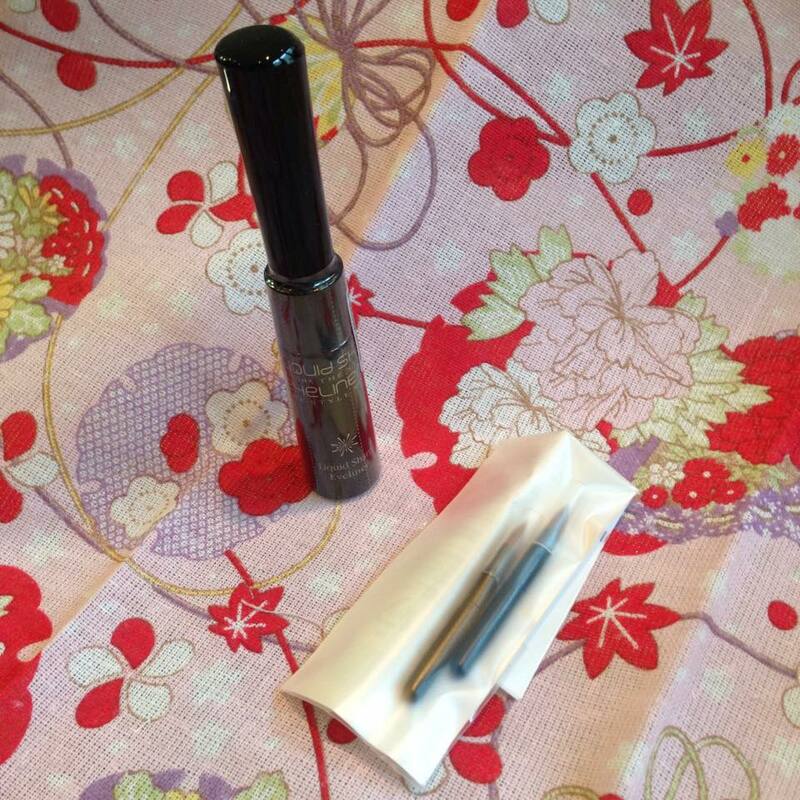 I’ve just started experimenting with different lip make ups, from tints to the more traditional lip sticks. I needed some lip brushes and these looked like the perfect fit. I’ve heard amazing things about this balm cleanser, and seeing as how I cleanse my face twice daily and it’s an important part of skincare I knew I had to try this. I like the simple packaging on this, and though I’d prefer a pump or tube applicator, given it’s a balm the pot is probably the most suitable. 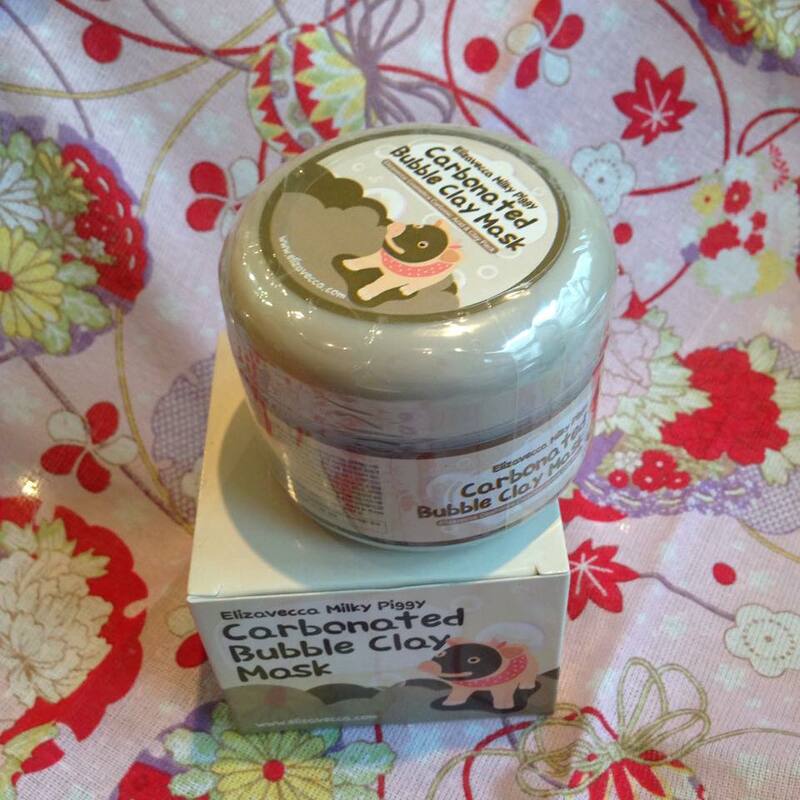 This is a clay mask targeting blackheads, and it’s suitable for all skin types. I admit 50% of why I wanted to get this was for the novelty factor of having a bubbly mask. But this also does have good reviews online, so I can’t wait to try this one out. I needed a mist to set my make up as well as cool my skin. The bebe peach mist I got in a Beauteque bag has become a staple in my hand bag, but I wanted one specifically for my face. 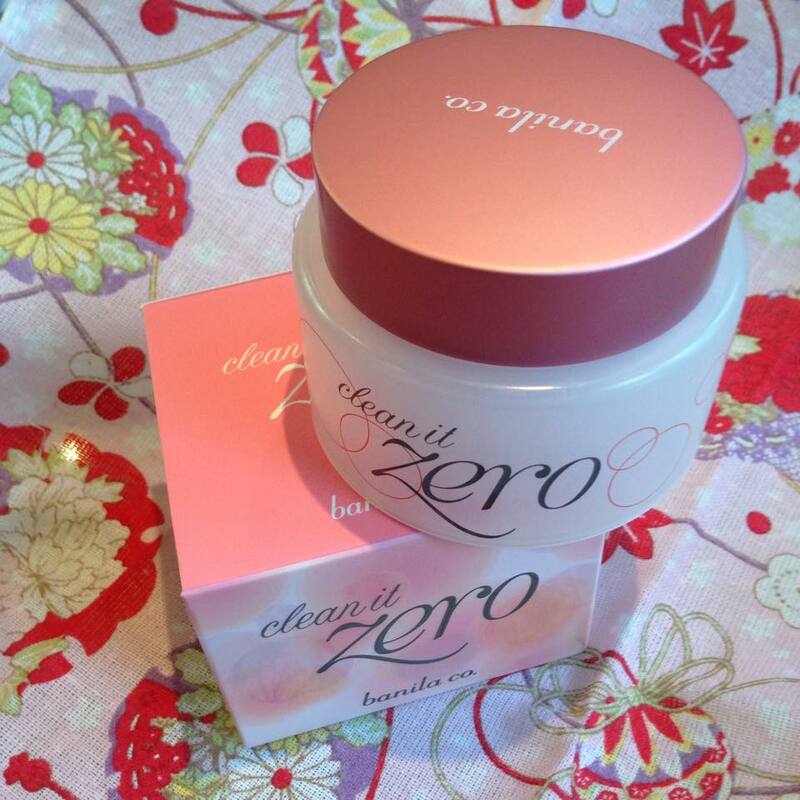 This promises to be moisturising and help set make up, we’ll see how it lives up to the promise! I wanted an exfoliating mask, and this promises to be just that. I read the reviews for this online, and the majority were positive. I’ll have to judge it for myself but this looks to be an exciting addition to my night routine. 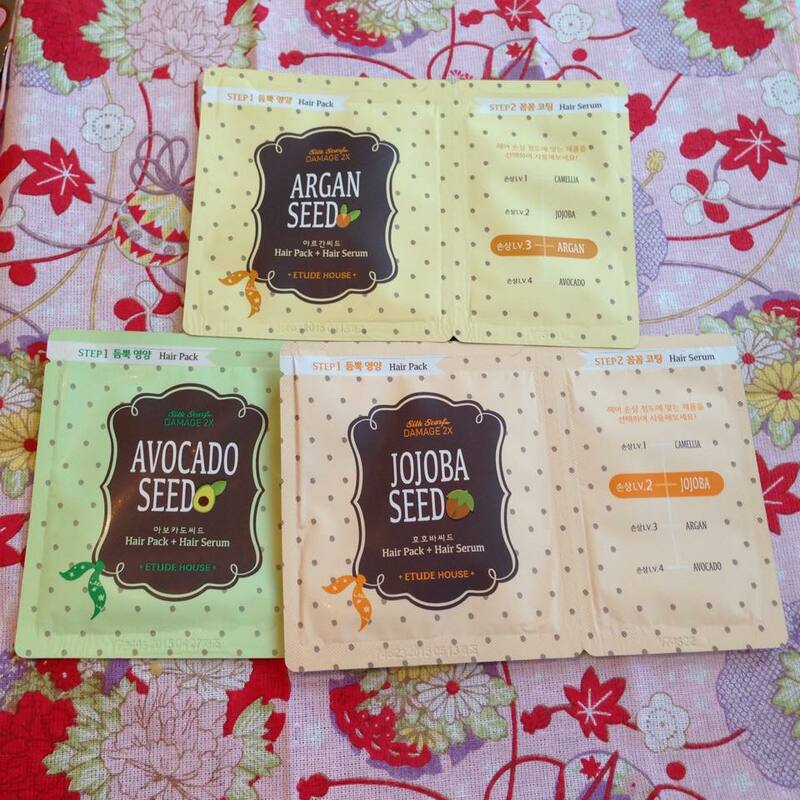 I’ve tried some of these masks before (review here), and I liked the effect they had on my skin. 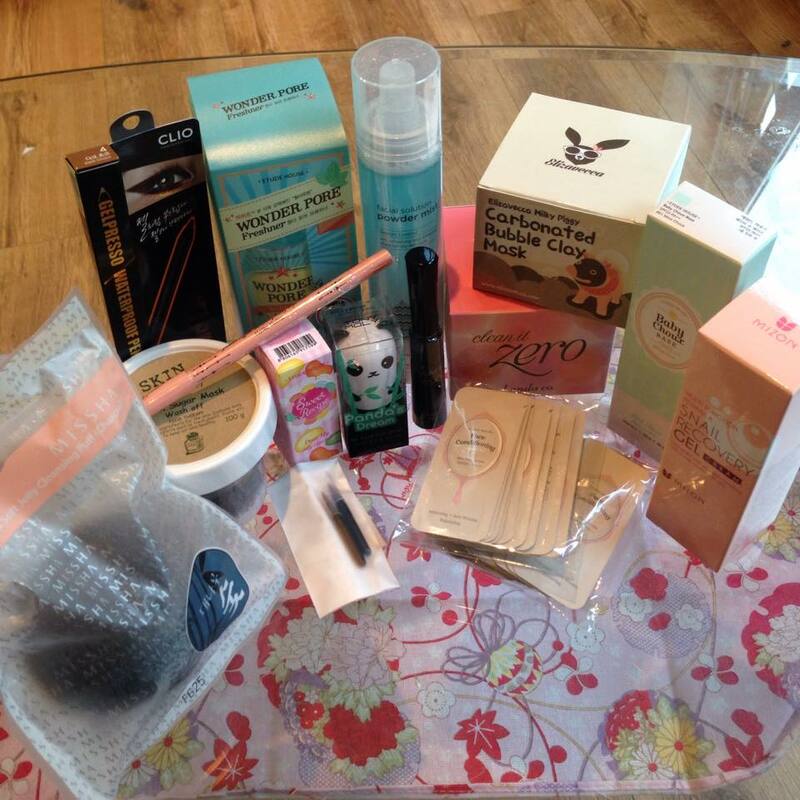 While they were not life changing they did brighten and moisturise my skin. This was a multi-pack of all 7 different types, and I wanted to try all the different key ingredients. I’m also a sucker for some novelty animal masks. They make for the perfect snapchat. 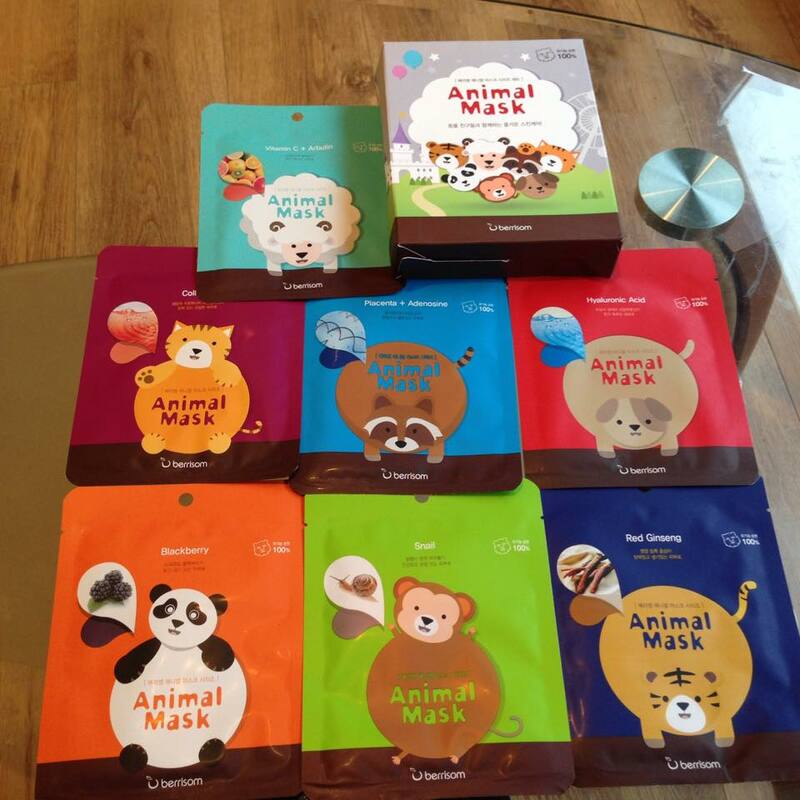 This was super cheap, a few dollars for ten masks. 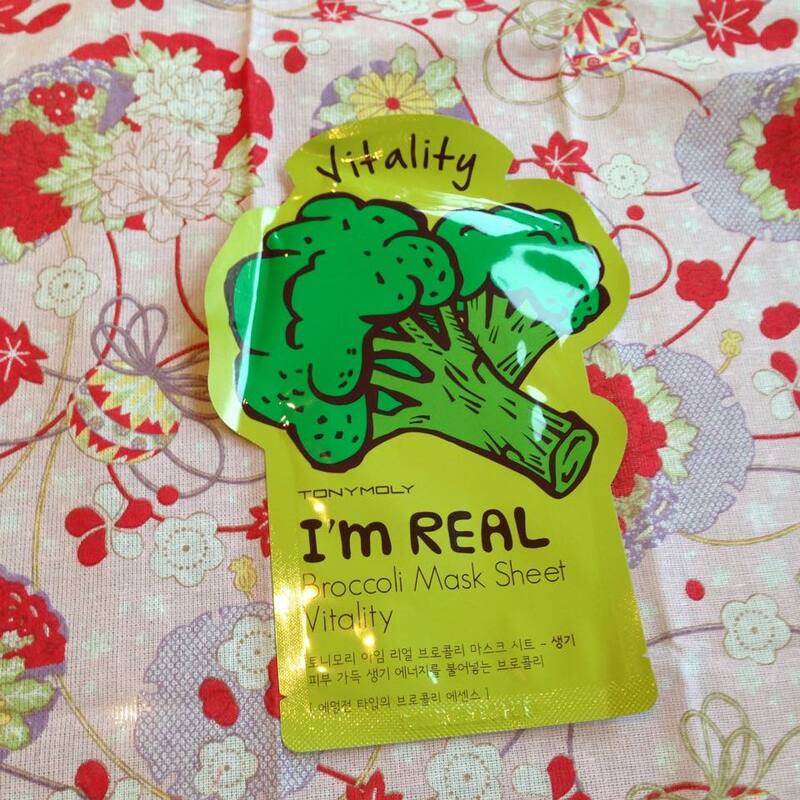 Sheet masks are my favourite thing in Kbeauty, I like to wear one every other day if possible, and this pack of 10 helps enable that. 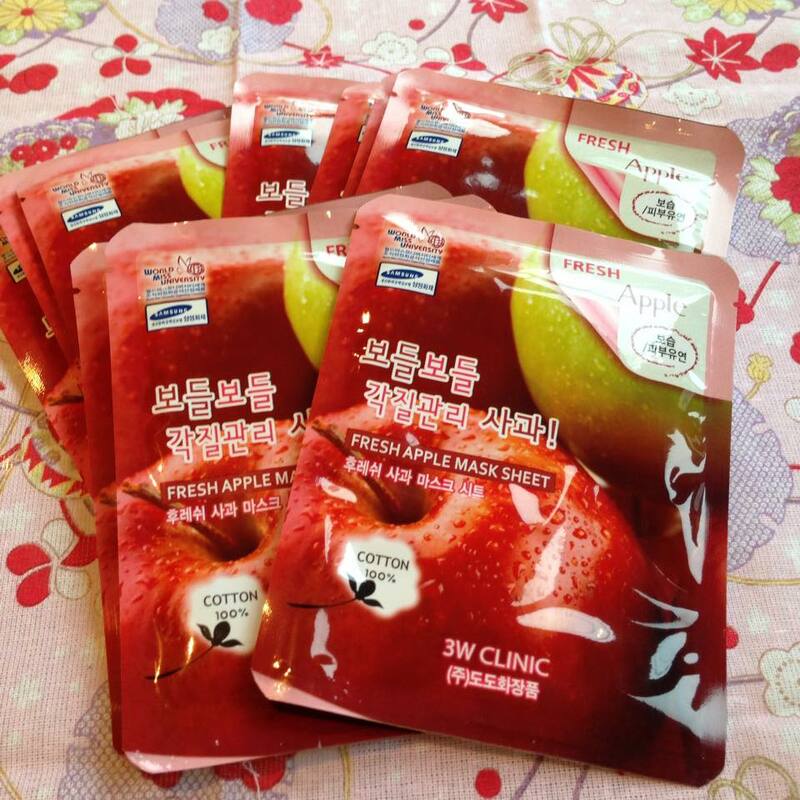 I’ve also not tried apple before in a sheet mask, so wanted to try that out. This was also very cheap, $2.40 for a pack of ten. 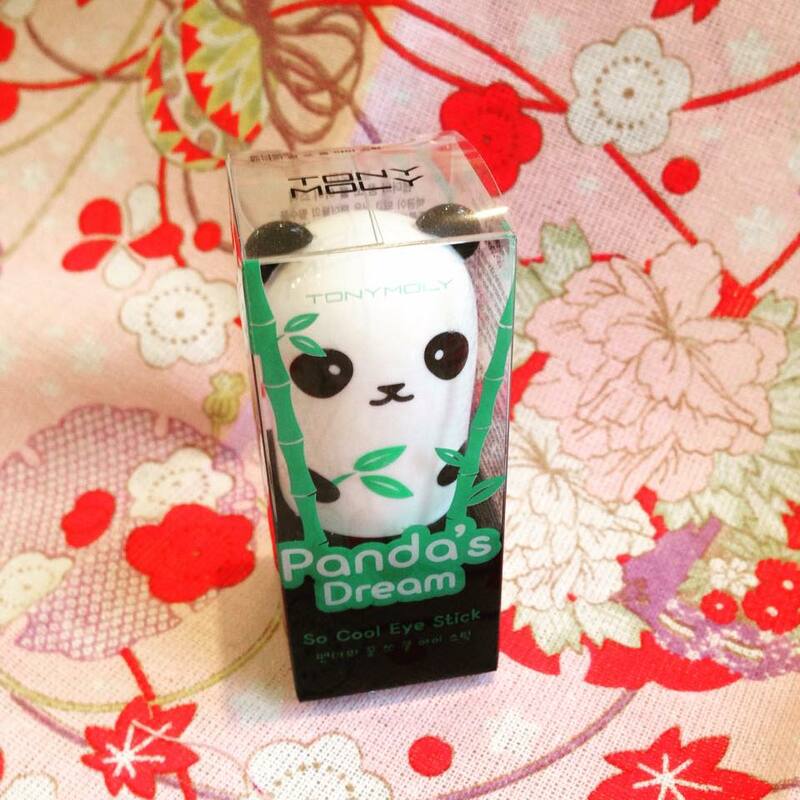 That combined with the cute packaging meant I had to add this to my basket. 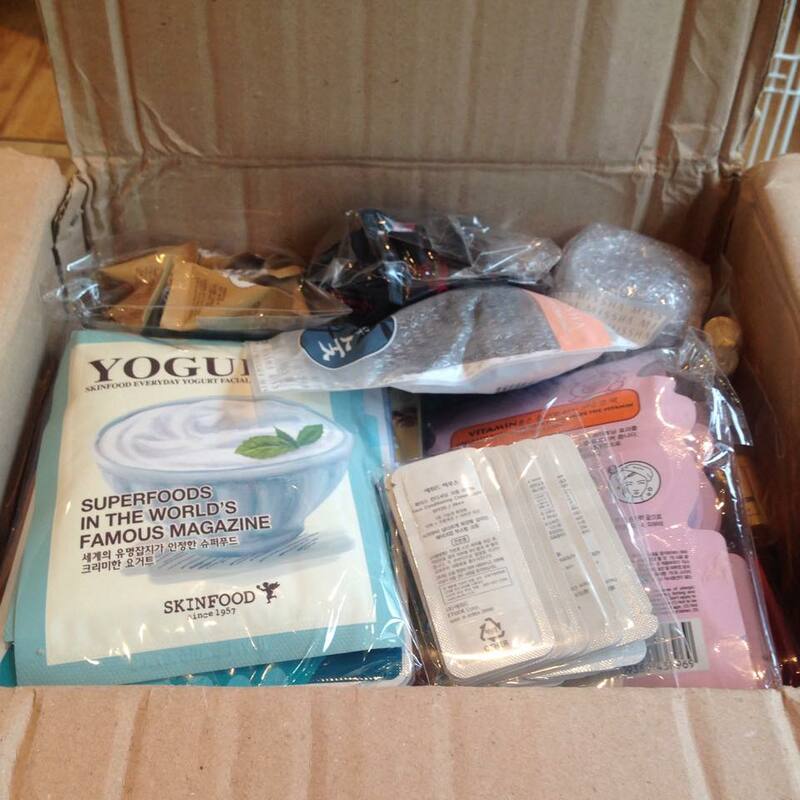 I’ve never tried the masks from the Nextbeau brand before, but I have tried collagen masks. While it isn’t possible for you to absorb collagen through the skin (the molecules are too big essentially) I’ve liked the effect collagen masks have had on me in the past. 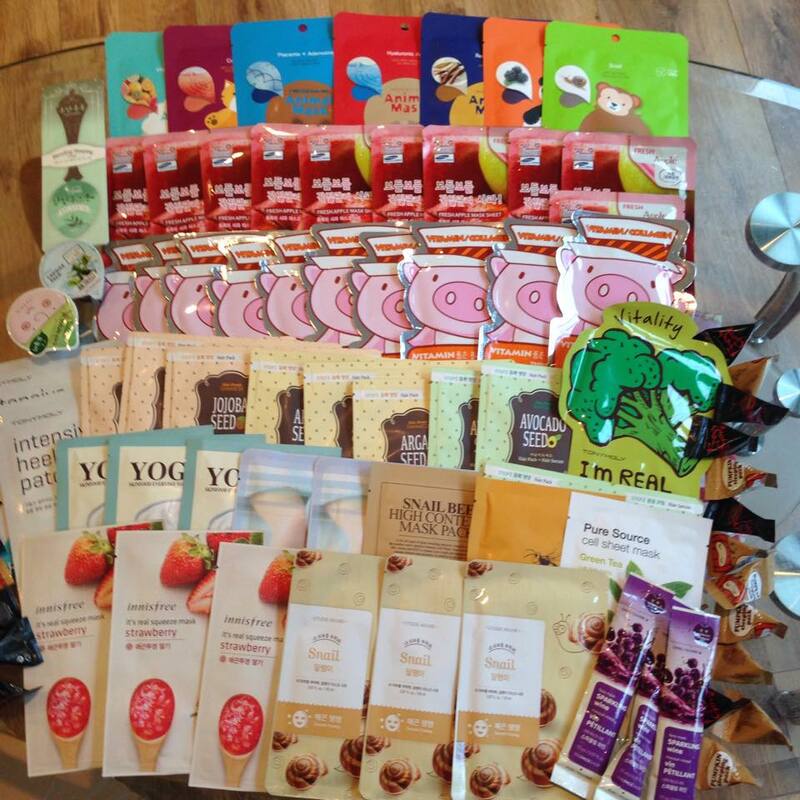 My love of sheet masks really prevailed in this haul. I bought these because I wanted a set of yoghurt masks in my collection. 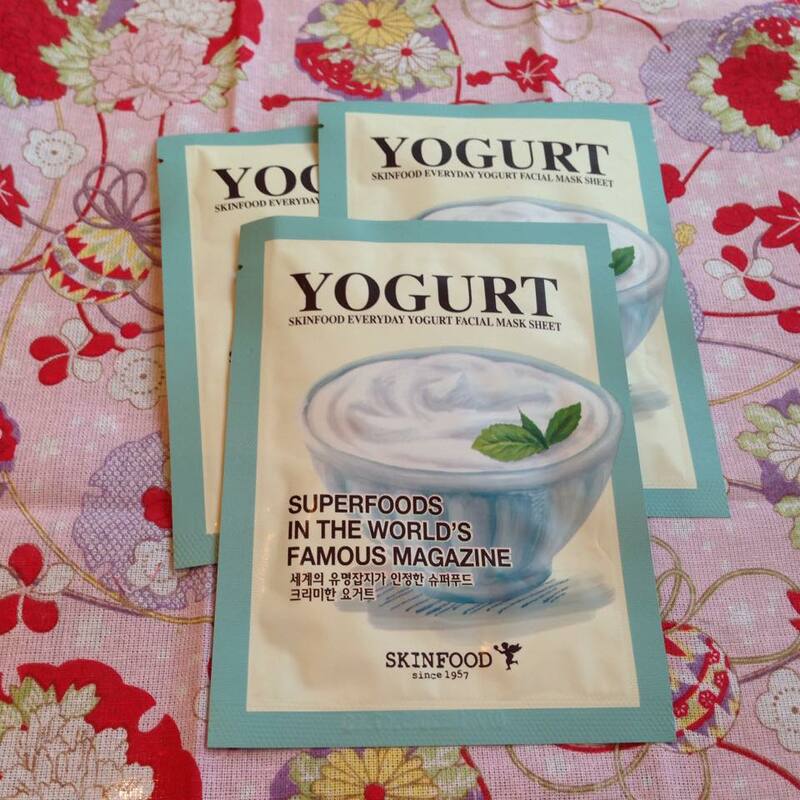 Yoghurt is very gentle and moisturising, plus it has a great cooling effect. There is a reason why greek yohurt is put on sunburns! I love my hair, but the air conditioning in the office is killing it 🙁 I bought these because I was intrigued to see if they would be effective and restore the life to my hair. I bought three different types, just to test them all out. I’ve seen the gross yet fascinating photos on other blogs from using foot masks and knew I wanted to get a part of this action! 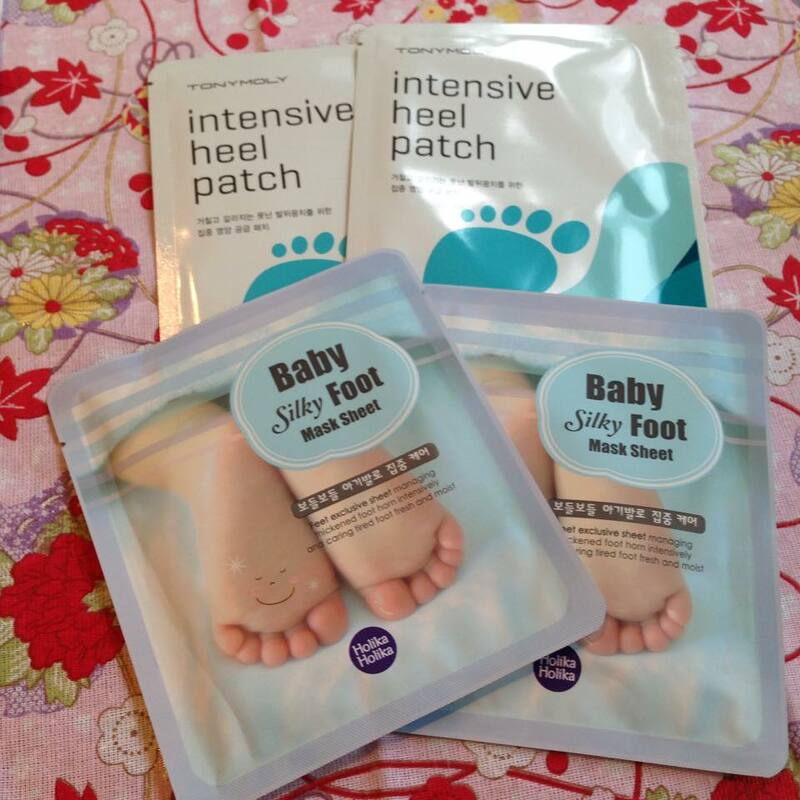 I also got the heel patches because I’ve heard good things about it. 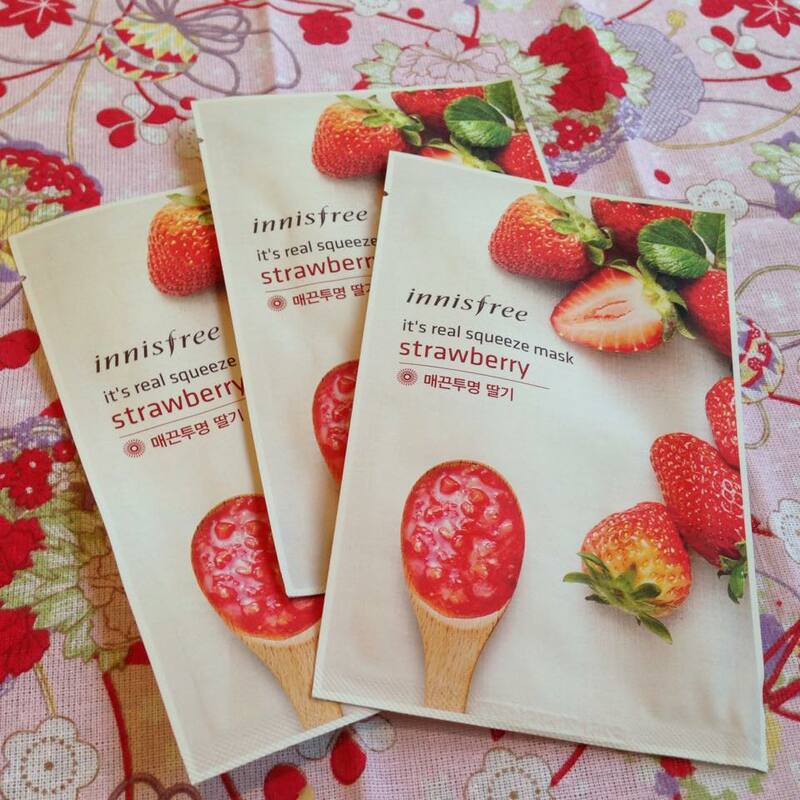 This was to replenish my diminishing collection of Innisfree masks which I love. These ones have a great strawberry scent and left my skin feeling perky and bright. I love green tea masks. One of my skin problems is redness, and green tea is great at calming this down. 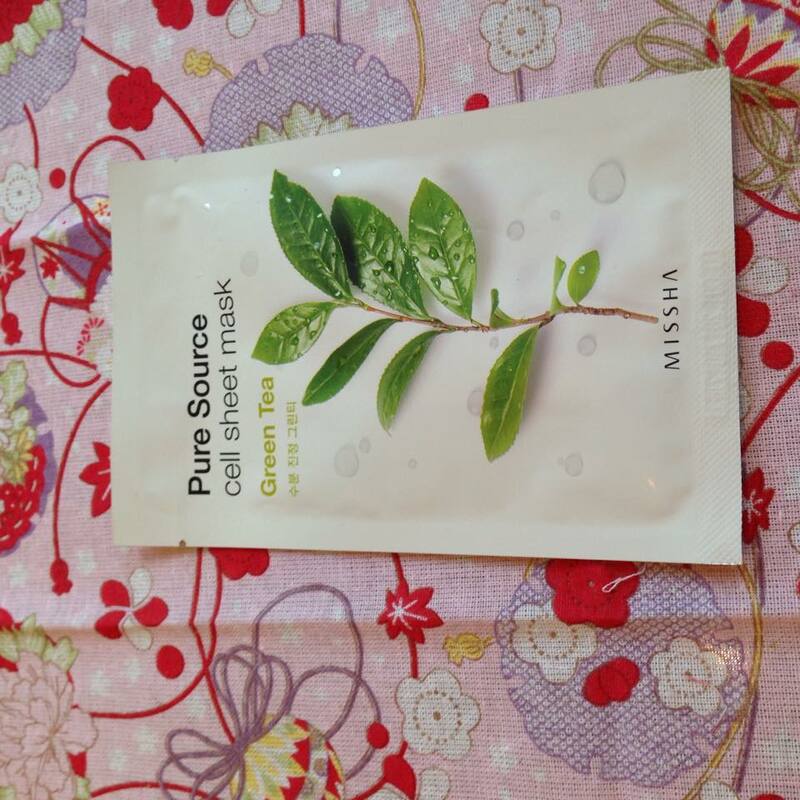 I’ve not tried a mask from Pure Source before, but I have high hopes. 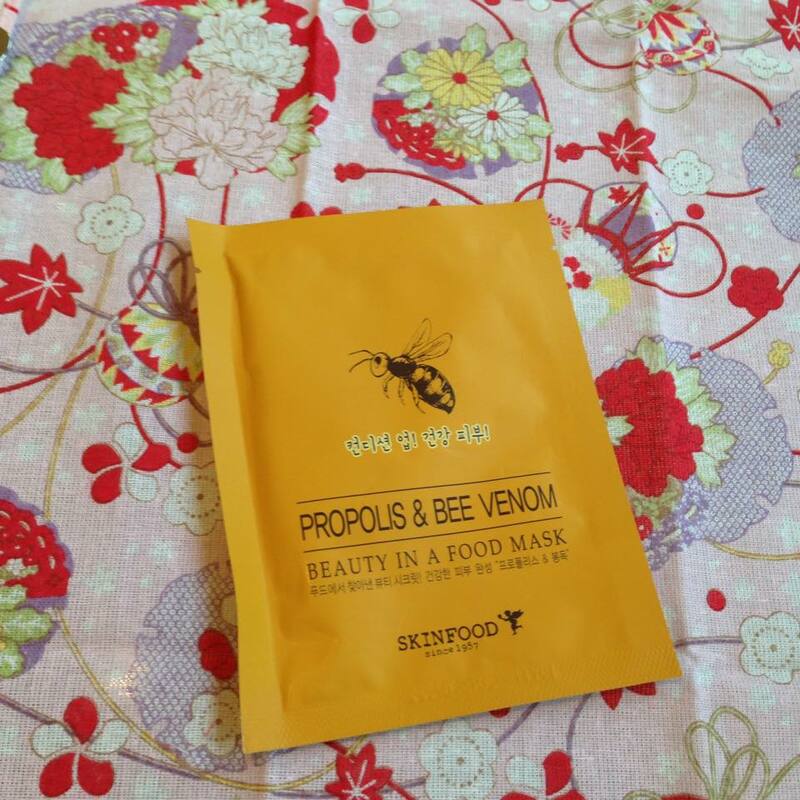 Bee venom is great for tightening the skin and I haven’t got one in my mask collection, so into the basket it went. I’ve heard good things about the ‘I’m Real!’ line, so knew I wanted to try at least one of the masks. I do like Broccoli (not as much as Linh), so thought why not put this on my face. Into the basket it went. 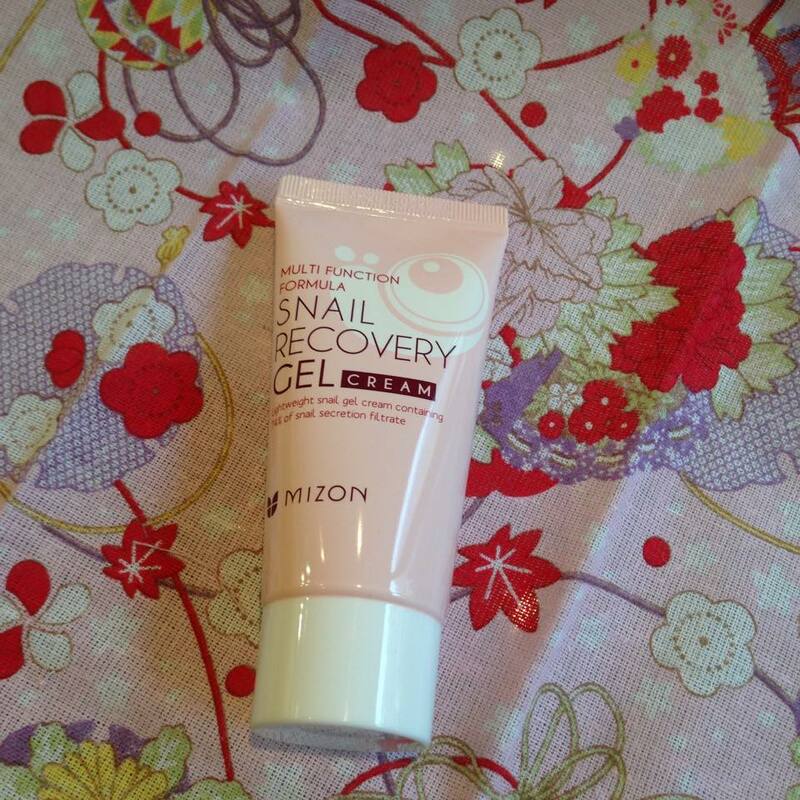 Okay although that should suffice, its also because I wanted to try the Benton Snail Bee as well. I’ve heard mixed stories about Benton, from top HG status, to it’s the devil in mask form and wanted to form my own judgement. 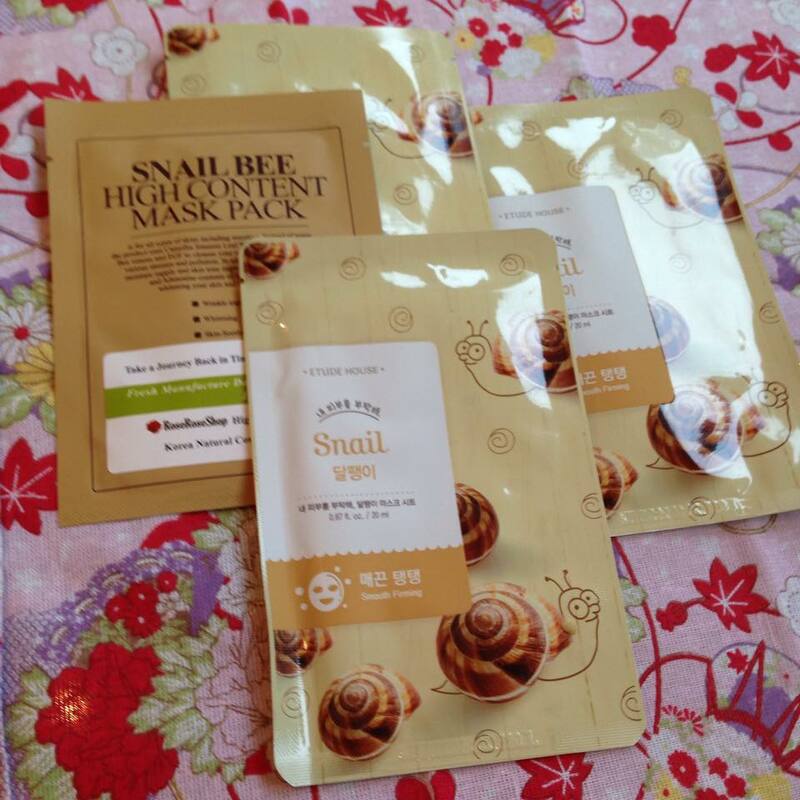 Etude House was to bolster my snail collection. 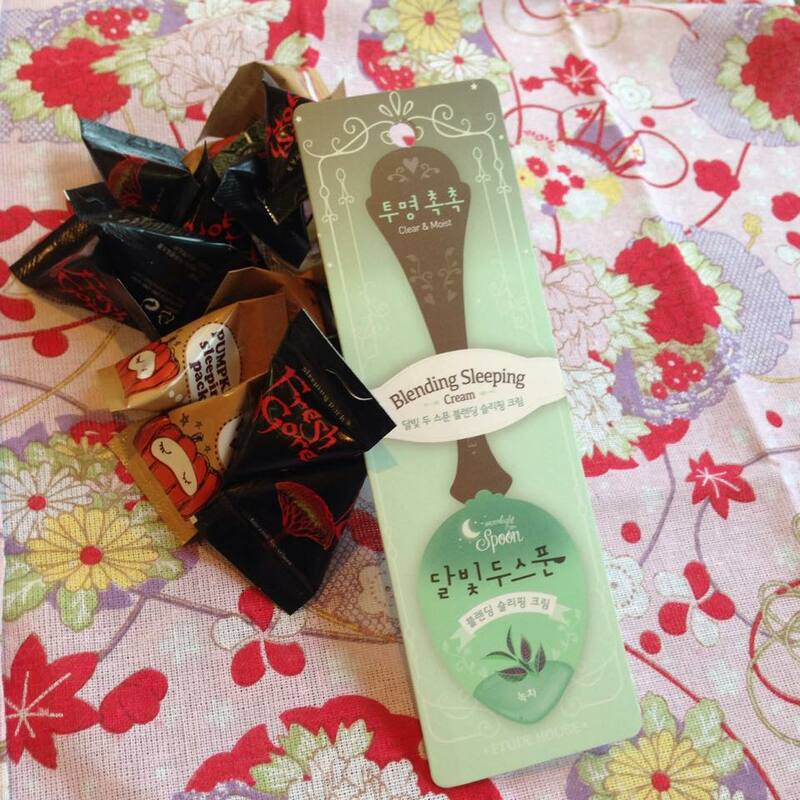 These are sheet masks, but in a more travel pack friendly form. 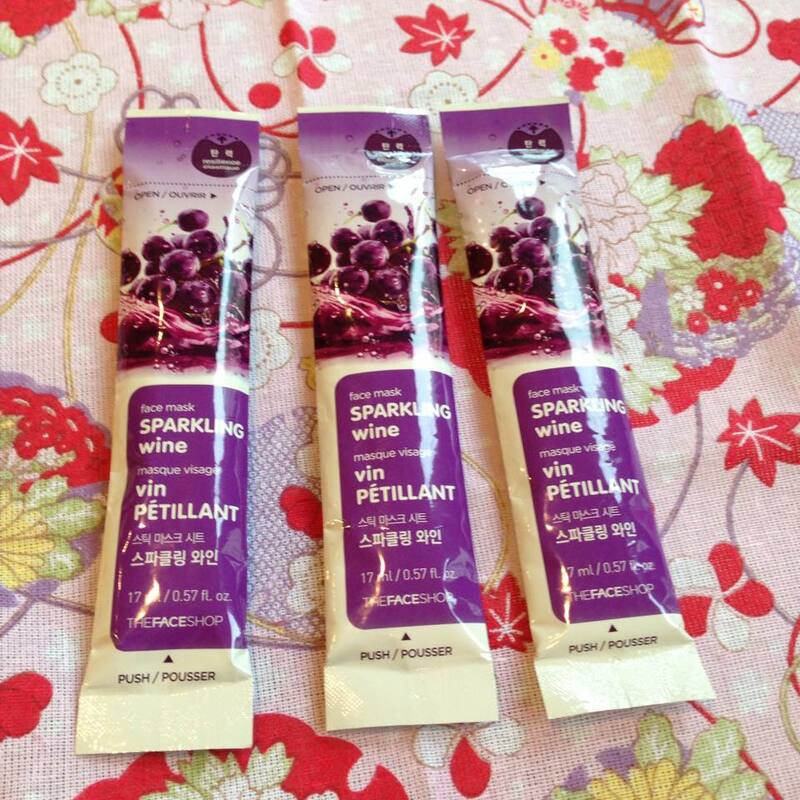 I’ve not had a wine face mask before and wanted to try this. 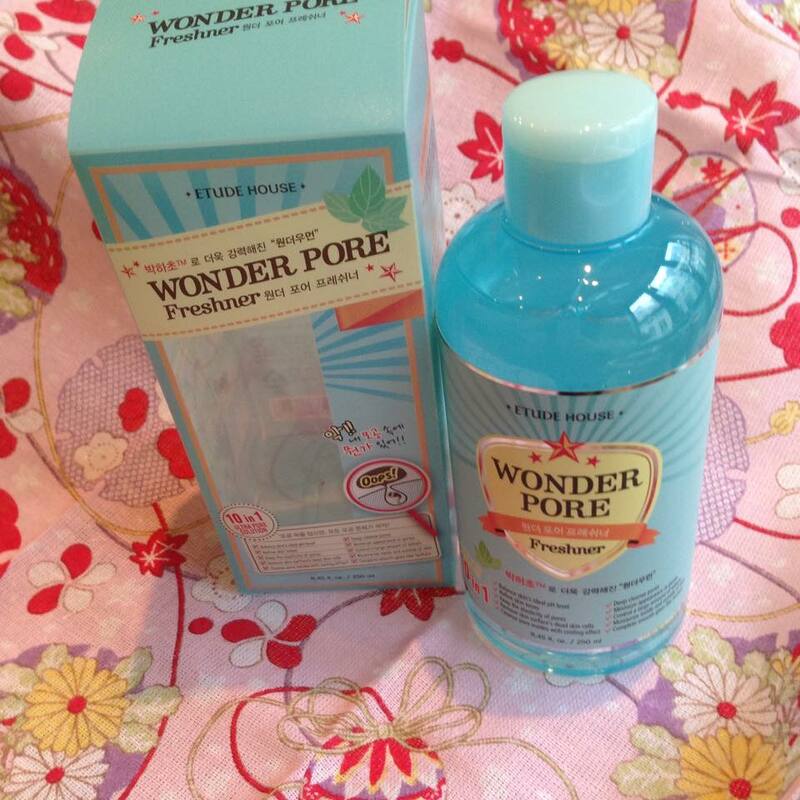 I think it was included in a Beauteque or Mask Genie subscription bag recently and I heard good things. I wanted to try some masks which weren’t of the sheet variety, and these fit that description. 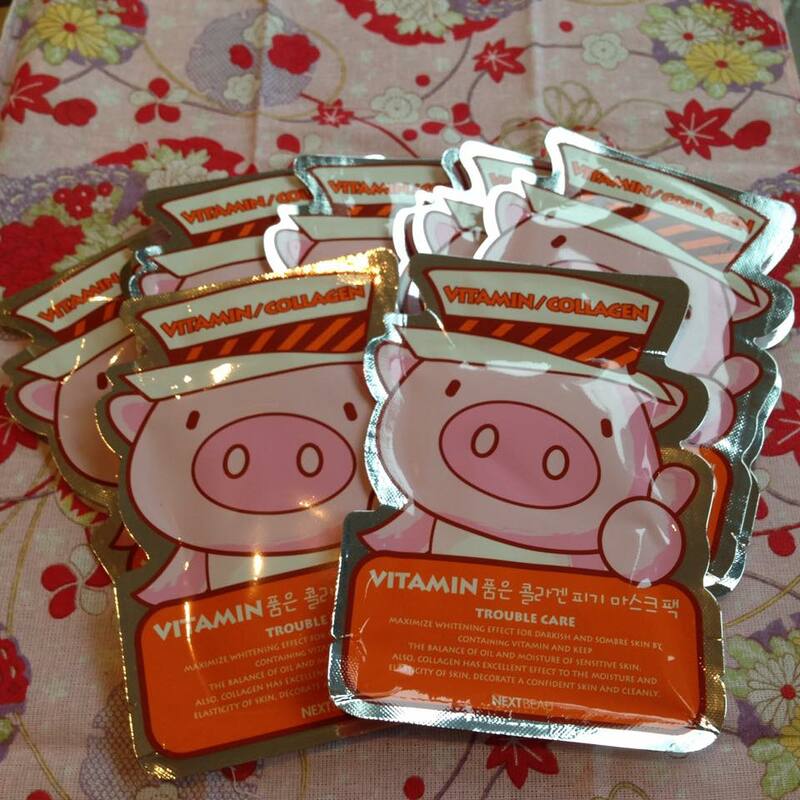 Will be interesting to see if these are more effective than the sheet masks. I wanted to add a sleeping pack to my collection, and these samplers were the perfect size and price to justify that. Look out for a sleeping pack review in the near future! Phew and that’s everything! Now I just need to try it all out.